KCNC Bikes make high quality bicycle components that embody both form and function. The Razor rotor is made of stainless steel and is built to be strong. the large cut-aways allow heat to dissipate quickly so braking is always reliable. These rotors work just as good as any other super lightweight rotor that costs double or triple the price! The open design does take some getting used to until pads bed in. If your someone who wants to keep weight and price down on your bike and doesn't tend to grab a handful of brake at every corner then these will serve you well. I used a 180mm rotor for front and 160 for rear on my XO trail brakes / Pivot Mach 5.7 without issue over the last 100+ miles of riding. New out of the package, I did have to slighlty tweek the front rotor a hair to avoid rubbing, but 160 was perfectly true. 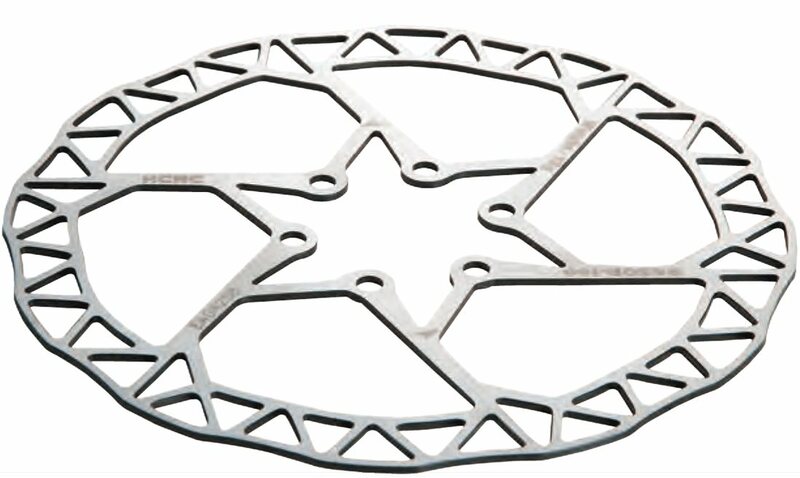 Keep in mind all open rotors like this will easily come out of true with less material stiffness, which is why my best use opinion is XC/Trail use. Thus, if you tend to be on the brakes alot, I'd recommend a more closed designed rotor like the Avid HS1's or Shimano equivalent for your type manufacturer brakeset. Overall, very pleased for my intended use and price. They even come with rotor bolts. Lastly, the weights are etched on the rotors. The great think about this rotor is the rounded edges. Some cyclocross racers do not use disc brakes for fear of slicing themselves or their fellow competitors on sharp disc rotor edges. There is no danger of that happening with this rotor because the edges are rounded and smooth. I have them on my cross bike and I would have no problem with everyone else using them too. The light weight also makes them wonderful for fast riding on skinny tires. They do seem to wear faster than regular rotors, but at this price the weight savings are worth it. Buy them and shred. Delivered on time and ins in perfect shape. Rotors are always scary to ship, but these came to me perfect. Fast shipping on a great rotor. Everyone should own a set! Used the 160 on front and rear with both my hardtail and full suspension XC bikes with XTR Race brakes. They work incredibly well, haven't noticed any loss of power on long descents, and did not have to make any changes to the stock pads. Also, they perform well in wet conditions. Very lightweight and they look really great too. 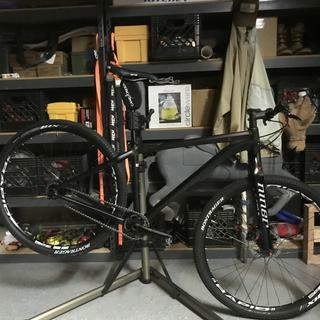 Other reviews had mentioned their tendency to bend, but I haven't had any experience with this even after a minor spill on my hardtail. used these with some new XT brakes. amazing! Bought these to throw on a super lightweight rigid singlespeed build. Had a hell of a time getting a set of XT M8000 calipers to center on them. Never did get the front 180 to stop rubbing. As far a stopping power goes they fall flat. My suspicions lie in the open design of the friction surface. Switched to a set of XT rotors. Greater stopping power and they center right away. Shimano rotors are worth the extra weight. Not a good match for my brakes! Dlivery and service consistent as usual. Shipped out within one business day plus about 5 days transit from CA to NC. Worked just fine until I had to stop on a hill doing 45mph. Brake went to the bar and the rotors over-heated. going back to one with an alloy insert. I weigh 220 fwiw.